We should always try to improve ourself in every way. Being positive allows us to keep moving forward. 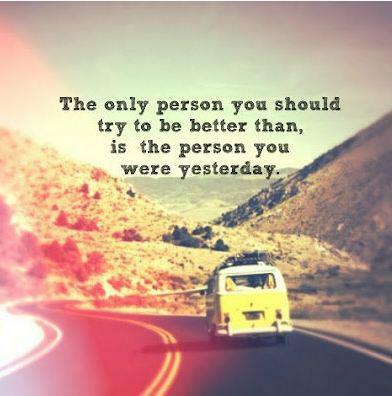 Also, we should not compare our progress with others. Our greatest enemy is actually only ourselves. This entry was posted in Motivation and tagged fitness, motivation. Bookmark the permalink.